On 08 January 2018, the EU decided to align it’s North Korean sanctions regimes with UN Security Council measures by adding 16 persons and one entity, the Ministry of the People’s Armed Forces (MPAF), to the EU blacklists – regarding asset freezes and travel restrictions. In this context, the EU has implemented the restrictive measures imposed by UN Security Council resolution 2397 (2017). The restrictive measures were adopted on 22 December 2017 in response to North Korea’s ongoing nuclear weapon and ballistic missile-development activities. 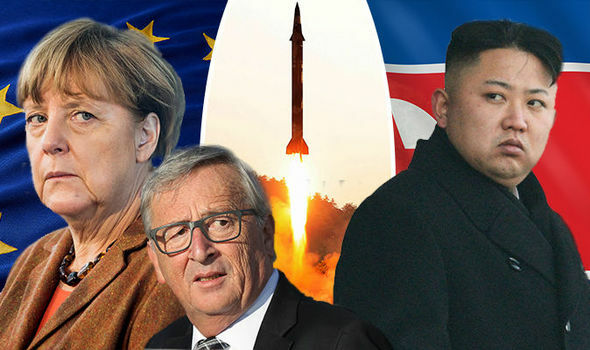 The EU decision brings the total number of persons under restrictive measures against North Korea to 79 persons and 54 entities as blacklisted by the UN. In addition, 41 persons and 10 entities are designated by the EU unilaterally. Be the first to comment on "EU implements UN Security North Korea sanctions"